Join Black Rock Labs, IDEATE and others so we can walk our talk as a culture / community. PURCHASE CARBON OFFSETS. Believe in Leaving NO Trace. Believe in leaving no trace? ✪ 2.86 billion lbs of carbon for all Burners for the entire year. This is equal to operating 432,425 improved cookstoves for one year or removing 274,028 cars from the road for one year. 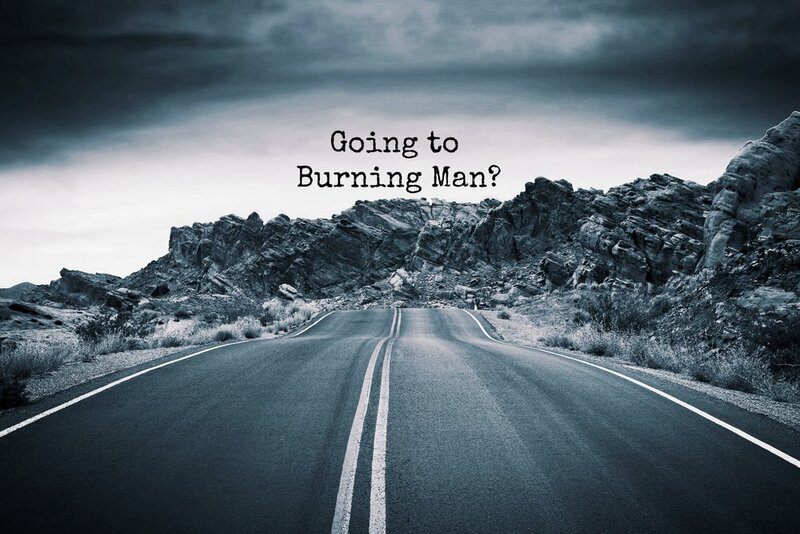 * The average carbon footprint estimation for a Burner is based on a greenhouse gas emissions inventory conducted by Coolingman organization in preparation for the Burning Man 2007. The inventory included the travel of Burning Man participants to/from the event and on-Playa emissions for 7 days. Learn more about the Coolingman greenhouse gas emissions inventory. Carbon Footprint is the amount of carbon dioxide (CO2) and other greenhouse gases emitted due to the consumption of fossil fuels by a particular person, group, or activity. The average carbon footprint of a Burner is 1,400 lbs of carbon dioxide emissions (CO2) equal to 71.5 gallons of gasoline consumed. About 90% of that is from transportation to and from the event. Whatever your carbon footprint is, you can offset it by supporting projects anywhere in the world that reduce greenhouse gas emissions. Based on the total amount of carbon offsets purchased by Burning Man participants, we (C-Quest Capital) and our local partner will install new clean and efficient cookstoves in rural Zambian households that will generate an equivalent amount of CO2 emissions reductions. These CO2 emissions reductions will be third-party verified, issued and retired under a globally recognized carbon standard. Learn more about the project below. Our carbon offset projects not only achieve carbon reductions but have the additional benefit of improving the livelihoods of the world's poorest people - providing a diverse range of social, environmental and health benefits. These unique projects, such as the carbon offsets we are developing in rural Zambia for Burning Man Participants are from Transformation Carbon™. In appreciation of your participation towards combating global climate change and caring for local communities around the world, we will email you a customized Transformation Carbon™ Offset Certificate as a testimony of your good will. Help others understand your commitment to the environment by sharing the #ButFirstEarth campaign. We have been installing clean and efficient cookstoves in Zambia and other countries in Sub-Saharan Africa for several years. In Zambia, we work with our on-the-ground partner Community Markets for Conservation (COMACO) to help install the stoves and half-wall kitchens and for project monitoring. Together we continue to expand our operations and our impact solely from the purchase of carbon offsets by institutions and people like you. The households that receive the clean and efficient cookstoves and half-wall ventilated kitchens live in rural villages and are at the very bottom of the pyramid. For the most part, they live outside the cash economy. We provide the durable metal parts to the households at no cost to them and they contribute their labor to make the bricks and mortar from scratch and assemble the stoves. The households also produce the bricks for the half-wall ventilated kitchens. They do all of this according to our designs and the technical backstopping from COMACO. Not only does a clean and efficient stove reduce 6,600 Ibs of carbon dioxide emissions per year, it produces a number of co-benefits for the users such as reduced time and drudgery collecting firewood, and reduced exposure to harmful cooking smoke. Our investment to make this project a reality requires recruiting and training a local NGO stove team, tooling for stove parts and manufacture and their shipment to Zambia, training of local farmers and in turn women users in villages receiving the stove to use them, registration of the stoves using software designed by us to capture data on the stove (location, user name, photos etc) design and operation of an on-line data management system to which the data are uploaded and cleaned, monitoring and verification in the field by an independent third party carbon auditor, and issuance of credits into a retirement account of a globally recognized carbon standard. We can provide these carbon offsets to Burning Man participants because we have invested alongside others in now a total of 70,000 stoves across the Luangwa Valley in Eastern Zambia, and have the infrastructure in place to go through the entire cycle of construction through to carbon issuance. This gives Burning Man participants access to high social impact carbon credits from a unique stove and kitchen product. 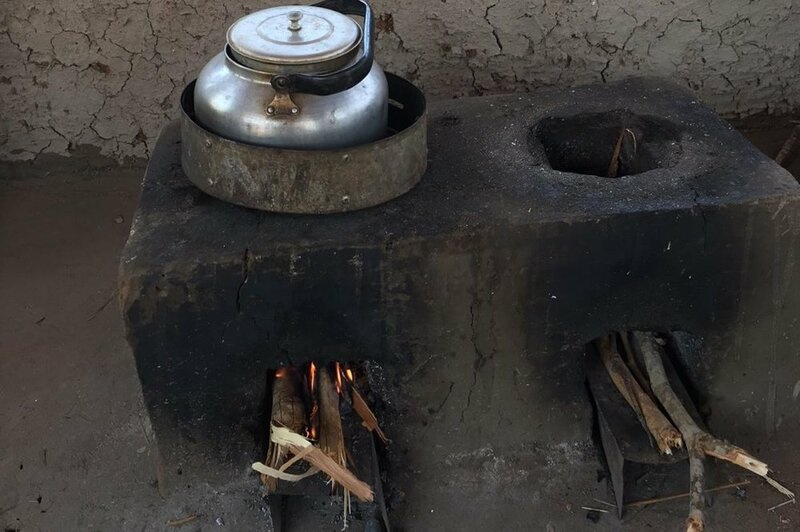 As Burning Man participants buy carbon offsets, we monitor the purchases and have the equivalent number of cookstoves built in selected villages that will have the unique double pot stove and ventilated kitchen space constructed. Each household receiving a stove transfers the rights to emissions reductions that the stove generates over to us in exchange for supply of the stove parts and training. The villages that the stoves are constructed in are supplied with sets of posters for construction, good use and maintenance, and are supplied with brick molds to build replacement bricks for repair or to build a new stove if they move location. Please flip through the slideshow to learn more about rural Zambian cooking context and how our project and YOU are stepping up to address these challenges. 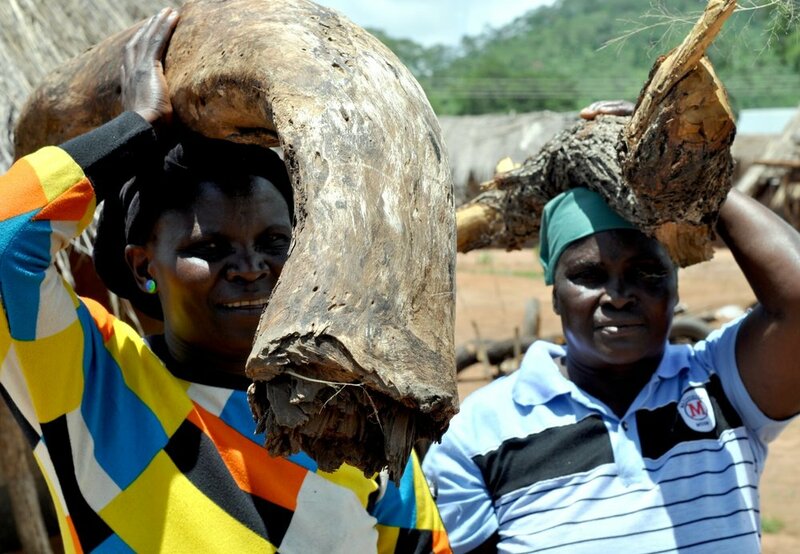 60% of Zambia’s population live in rural areas and 95% rely on solid fuels such as firewood for cooking. These households cook primarily on open fires also known as three-stone fires, same as how cooking was done in pre-historic times. Open fires utilize large logs which are unsustainably harvested from surrounding forests and wooded areas of agricultural lands, the major driver of deforestation in the Luangwa valley region of Zambia. Open fires are very smoky. Health damaging exposures of PM2.5 are any that exceed 100 ug/m3. Average levels of PM2.5 in poorly ventilated kitchens in rural Zambia exceed 400 ug/m3 and may reach 1000 ug/m3. 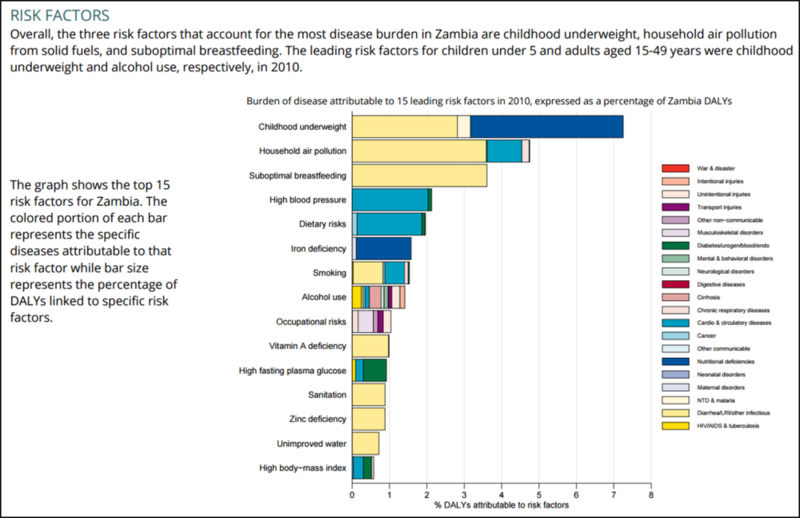 Household air pollution from cooking with solid fuels is the second leading risk factor contributing to disease and premature death in Zambia. Since women do most of the cooking in Zambia and at the same time look after their young children, they both become the most vulnerable to household air pollution. In addition, women and children gather firewood at least 2-3 times per week walking as far as 5-10 km from their homes to find wood. This is hours and hours of drudgery per week. So what is CQC and its Partners doing to improve the lives of the most vulnerable? We support the installation and maintenance of locally produced energy efficient cookstoves with durable metal parts. Over 50,000 TLC-CQC Rocket Stoves (stove model versions 1 & 2) have been installed in the Luangwa valley region over a two-year period by on-the-ground partner COMACO, benefiting over 300,000 people. Each stove is expected to reduce the use of 2 tonnes of unsustainably harvested firewood per year, resulting in 3 tonnes of CO2 emission reductions per year as compared to an open fire. The stove also reduces burns and indoor air pollution from open fire cooking, greatly lowering respiratory diseases and carbon monoxide poisoning. With the combo of a cleaner burning stove and half-wall kitchen, significant positive health outcomes are expected for women and children. These health outcomes can be quantified by CQC under a new methodology published by the Gold Standard Foundation. In addition, the stove enables cooking to be fueled with small-diameter fast-growing nitrogen-fixing agroforestry trees grown on farms and with crop residues otherwise wasted, reducing deforestation. This reduces the burden of gathering firewood over long distances at personal risk. It allows women to regain hundreds of hours per year that can be used for other productive activities and leisure. Zambian women in the Luangwa valley region build their own stoves with training and support from CQC’s on-the-ground partner COMACO. The bricks and mud/dung mortar are hand made by the women according to spec. The stainless steel stick shelf allows air to flow underneath the wood sticks into the combustion chamber resulting in cleaner and more efficient combustion. 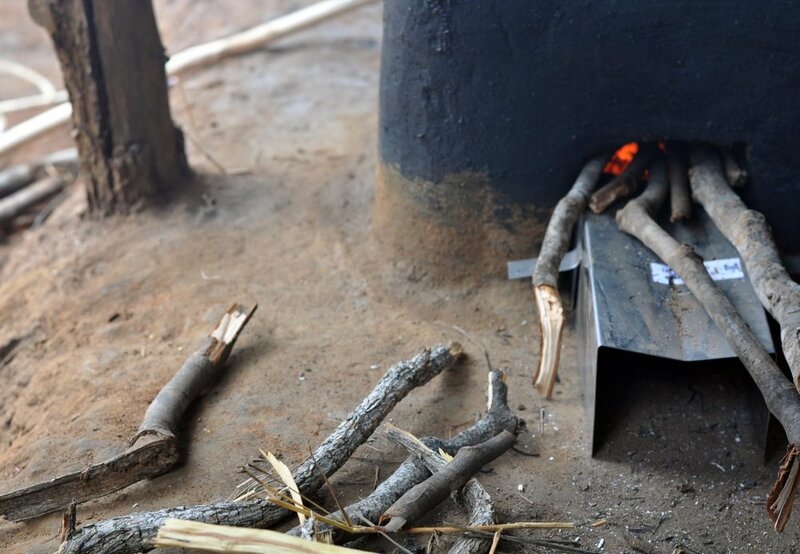 The adjustable corrugated pot skirt improves the transfer of heat from the fire into the pot, increasing energy efficiency and also helps to block wind. The stainless steel stove top allows the pot to sit higher improving the flow of air into the combustion chamber and out the top of the stove. The thermal efficiency of our stove is 34.5% compared to 10% for an open-fire. COMACO field staff then distribute the metal parts to households that build the stoves to the proper specification, and register the stove in our online database via mobile devices. The registration of each stove includes a unique serial number, the GPS coordinates, installation date and photographs. The household receives a Registration Card with corresponding serial number. Burning Man participants purchased a total of 1,228,600 Ibs of carbon dioxide emission reductions to offset their carbon footprint from participating in Burning Man 2017. This volume is equal to 557 metric tonnes, equivalent to emission reductions generated from the installation of 55 of our improved cookstoves in rural Zambia under a new Climate Action Reserve (CAR) protocol that is being piloted by C-Quest Capital. In early October 2017, C-Quest Capital’s on-the-ground partner Community Markets for Conservation (COMACO), installed 100 improved double-pot cookstoves in Manchinchi village, Kalindawalo chiefdom, in the Luangwa Valley, Eastern Zambia to more than cover the carbon offset orders from Burning Man participants. The GPS coordinates of each stove installation are recorded and represented in the map to the right. C-Quest Capital’s CEO, Ken Newcombe, visited the village on November 13, 2017 to see firsthand how the villagers were liking their new stoves. 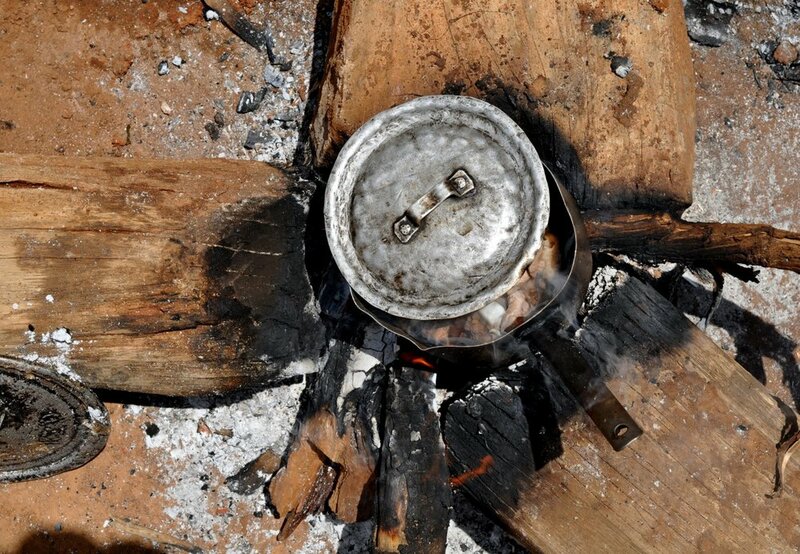 He observed that double-pot stoves completely eliminated the use of a back-up three-stone fire, a style of open-fire cooking similar to how cooking was done in pre-historic times. 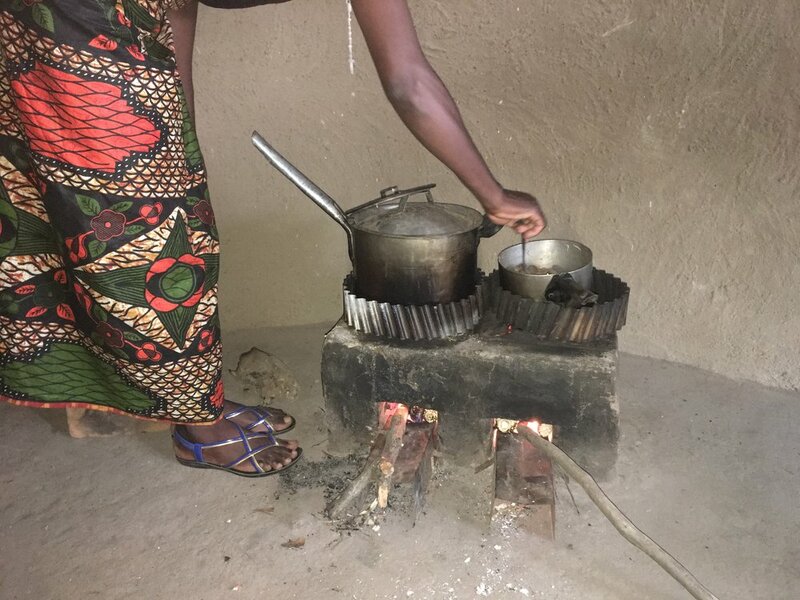 This is a big breakthrough for the project as households typically when receiving one of our single-pot improved cookstoves will still cook on their very smoky and inefficient three-stone fire for a small fraction of their cooking. Almost all households Ken visited had two pots cooking, a good sign that the three-stone fire is a thing of the past for these households. Ken also observed that the cooks were well trained by COMACO and CQC and had switched to small twigs and crop residues that they collect around their houses from the large logs that are the fuel best suited for use in the three-stone fire, which they collected from forest lands, often kilometers away. To properly dry wood prior to using it for cooking, they place the wood above or behind the stove following the instructional guidance provided by COMACO. It was a happy village, full of energy and the women danced for an hour during Ken’s visit in appreciation of the stoves. The big wood piles were used by the households for three-stone fire cooking prior to receiving their improved cookstoves. These logs are no longer used by these households. The households that received the improved cookstoves are using twigs and corn cobs lying around and lots of small shrubs and brush they now harvest. Here you see a pile up small-diameter fast-growing nitrogen-fixing agroforestry trees grown on farms, reducing deforestation. Half-wall kitchens, as seen being built here in the village, in combination with an improved cookstove, are expected to provide significant positive health outcomes for women and children from reduced exposure to smoky open-fires. A husband and wife in Manchinchi village with a new double-pot stove and half-wall kitchen. A Manchinchi villager standing in front of her new half-wall kitchen with a stack of small-diameter wood for her new improved cookstove.